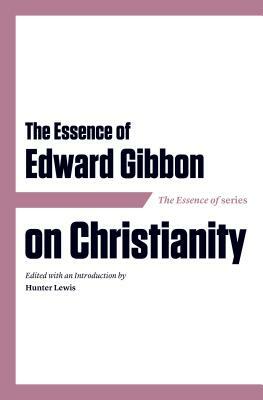 Edward Gibbon (1737-1794) personifies the calm and dignified rationalism of the 18th century. He became world famous as the author of the Decline and Fall of the Roman Empire, a multi-volume work describing almost 1300 years of history in some of the finest English prose ever written. The present volume is taken from volume one and focuses entirely on the early Christian Church. Gibbon does not mince words. He likes the religious toleration that prevailed in the Roman Empire prior to Christianity and describes it in his characteristically witty way: "The various modes of worship which prevailed in the Roman world, were all considered by the people, as equally true; by the philosopher, as equally false; and by the magistrate, as equally useful." He further outraged orthodox believers of his time by saying that his entire work described "the triumph of barbarism and religion." Axios Press's Essence of . . . series takes the greatest works ever written in the field of practical philosophy and pares them down to their essence. We select the best passages--the ones that are immediately relevant to us today, full of timeless wisdom and advice about the world and how best to live our lives--and leave behind the more obscure or less important bits. Our selections are not isolated: they flow together to create a seamless work that will capture your interest and attention from page one. And we provide useful notes and a solid introduction to the work.